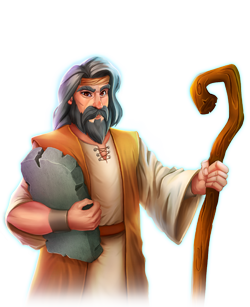 Known as one of the most famous Hebrew leaders, Moses is considered the most important prophet in Judaism and Christianity. According to the Hebrew Bible, he was a former Egyptian prince later turned prophet, religious leader and lawgiver, to whom the law of God was revealed and recorded in the first five books of the Hebrew Scriptures (the Pentateuch). He was chosen to free the Jews out from the brutality and slavery they experienced from the Egyptian Pharaoh. He was also God’s chosen one to receive the Ten Commandments, which still hold importance in the world. According to the Book of Exodus, Moses the Great Prophet was the son of Amram and Jochebed of the tribe of Levi, and the sibling of Aaron and Miriam. He was born in Egypt around the month of February/March in 1391 BC. During this time, the Israelites (Hebrews) were slaves in Egypt. The increasing number of the children of Israel posed a threat to Pharaoh, as he feared they might ally themselves with Egypt’s enemies. Pharaoh commanded his people to have every newborn Hebrew boy thrown in the Nile River. Amram and Jochebed were unwilling to obey the order of the Pharaoh and hid Moses the Great Prophet for three months. But Moses could not remain hidden for much longer. Jochebed took their son and put him in a papyrus basket, made of reeds and tar, and placed it in the tall grass at the edge of the river. Miriam, his sister, stood some distance away and observed the basket. The Pharaoh’s daughter and her servants were bathing nearby when she noticed the basket and sent one of her attendants to see what it contained and found the baby who was crying. Thus, she named him “Moses”, meaning “drawn out of the water”. Miriam who was watching came by and asked if she would like her to get one of the Hebrew women to nurse the child. This is how Jochebed came to nurse the baby, her own son. According to biblical accounts, Moses grew up with the Egyptian royal family, but this did not stop him from observing how the Hebrew were slaves and forced to do hard labor. Witnessing an Egyptian master beat a Hebrew slave, Moses could not control his anger and violently killed the Egyptian. Everyone seemed to know about it and Pharaoh eventually heard and tried to have Moses put to death for killing an Egyptian. But Moses fled and went to live in the land of Midian. There, he was adopted by Jethro, a Midian Priest, who was impressed by his bravery when he saved his seven daughters from rude shepherds. He later, married Zipporah, one of Jethro’s daughters, who bore him a son named Gershom. One day, while he was taking care of the sheep and goats of his father-in-law, he led the flock to the desert and came to Mount Horeb, the Holy Mountain. There, he saw a flame coming from the middle of a bush. It was on fire, but it was not burning up, which was strange. Then, Moses the Great Prophet heard a voice coming from the middle of the bush. It is believed that it was God who spoke to him. God instructed Moses to return to Egypt and free the Hebrews from slavery and cruelty. He also gifted Moses with miraculous power, such as, changing a walking stick into a snake, inflicting and healing leprosy, turning water to blood, and many others. Moses followed God’s instructions and went back to Egypt with his brother Aaron. Moses and Aaron met Pharaoh and told him the wish of God to free the Hebrews. But Pharaoh loathed his request and rejected God’s wish. After Pharaoh had hardened his heart three times against the Lord’s wishes, the Lord hardened Pharaoh’s heart and sent ten plagues over Egypt, affecting only the Egyptians, leaving the Hebrews safe. The tenth plague was the worst, causing the death of the first-born son of each Egyptian family, including the Pharaoh’s son. Pharaoh became upset and said the Hebrews could leave Egypt. Moses the Great Prophet led the Exodus of the Hebrews out of Egypt and across the Red Sea, after which they based themselves at Mount Sinai, where Moses received the Ten Commandments. Moses was 120 years old at the time of his death, within sight of the Promised Land.